Wendy Bradshaw, director of The Spirit of Dance, Yoga, Movement and Meditation and accredited Chakradance facilitator, will lead a three-day Chakradance workshop this weekend in Frisco. The workshop is divided into 60 minutes per chakra. It begins with an introductory overview and goes on to explore each major chakra before concluding with an integration class. Bradshaw said studying the chakras is a pretty deep subject and that part of the class will be spent educating participants about the chakras and their function. Each chakra is linked to a specific area in our body, Bradshaw said. 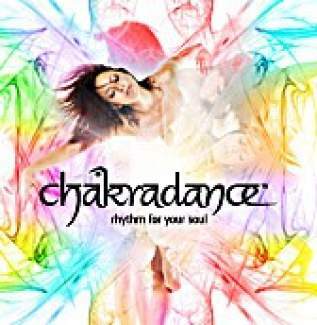 Chakra comes from an ancient Sanskrit word that literally translates into wheel, Bradshaw said, so though Chakradance is a modern-day practice, its roots lie in ancient wisdom that is thousands of years old. Chakradance is different from other meditation-based practices such as yoga. These blockages may be emotional, spiritual or physical energies that need to be released. “Dancing the seven charkas is like dancing through seven different worlds, each with its own lessons, each with its own meanings and each with its own stories,” Bradshaw said. Chakradance is new in the United States, and Bradshaw is one of only two licensed facilitators in the country. She said there are only about 35 facilitators in the world, mostly from Australia, where the practice originated. Bradshaw said practitioners could apply the principles taught in the workshop any time they need to realign themselves through their chakras, and this healing dance practice is open to all ages and levels. “Anybody can do it,” she said. “We’ve had students 17 to seniors dancing. I’m just guiding you through a journey through your chakra system; any man, any woman is welcome.